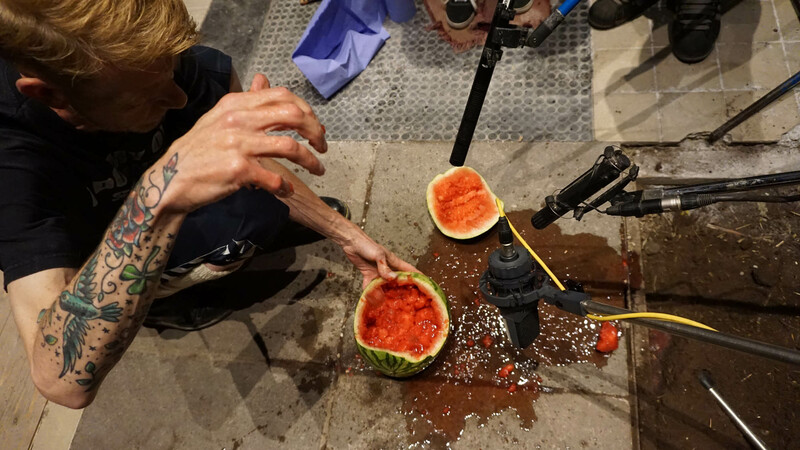 Above: Peter Burgis, foley artist, destroying fruit in the name of wonderfully gory audio. 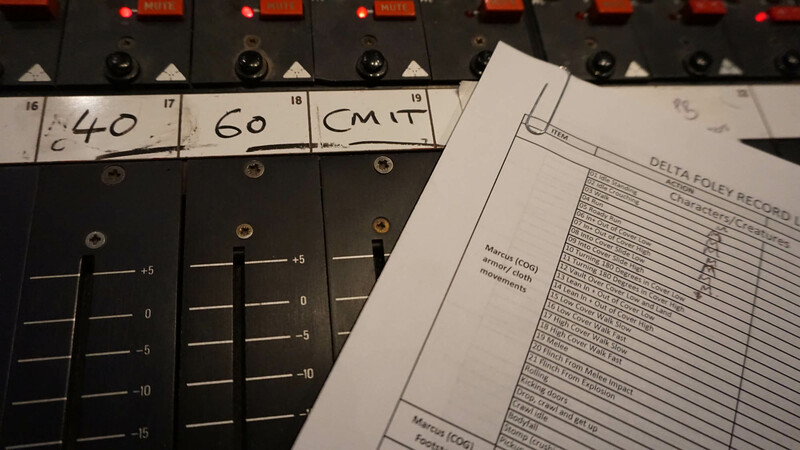 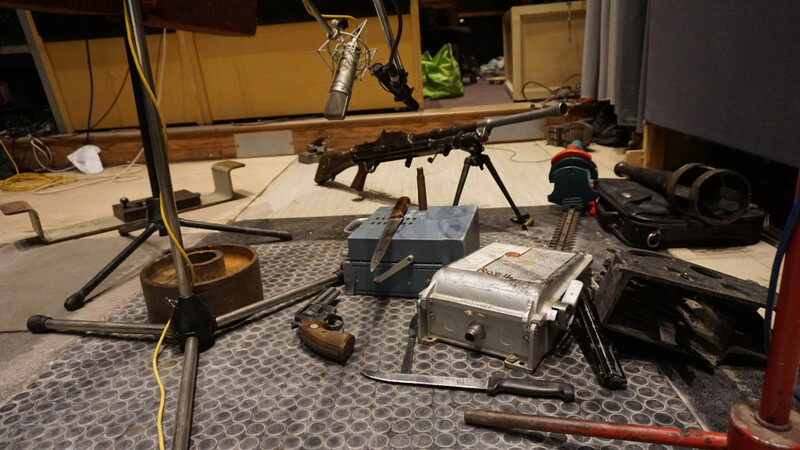 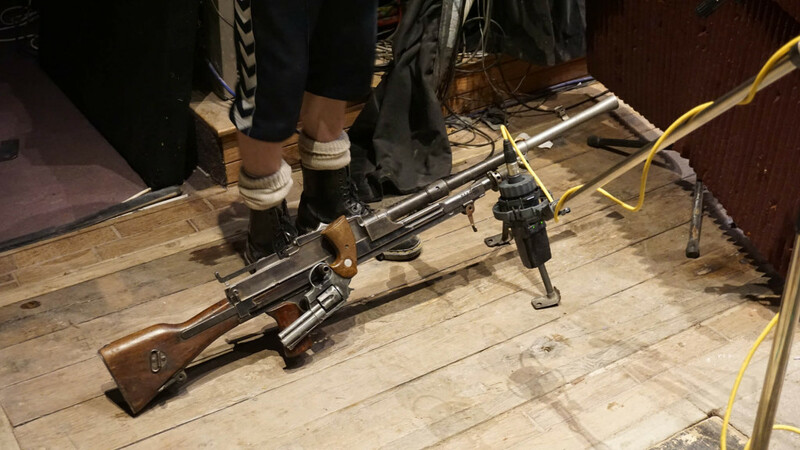 There’s lots to talk about from working on this project, for now here are some photos from the foley session at Pinewood, where the team provided incredible sounding source material for all the character movement, footsteps and weapon handling. 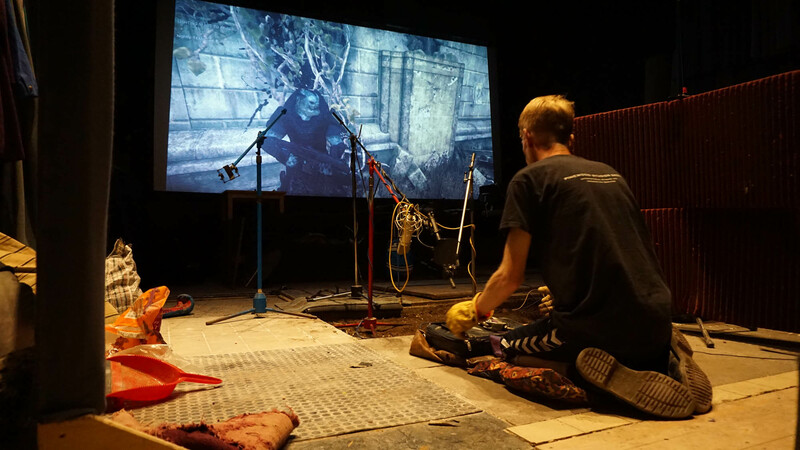 Started with Marcus armour/cloth moves for all his animations, before moving on to footsteps. 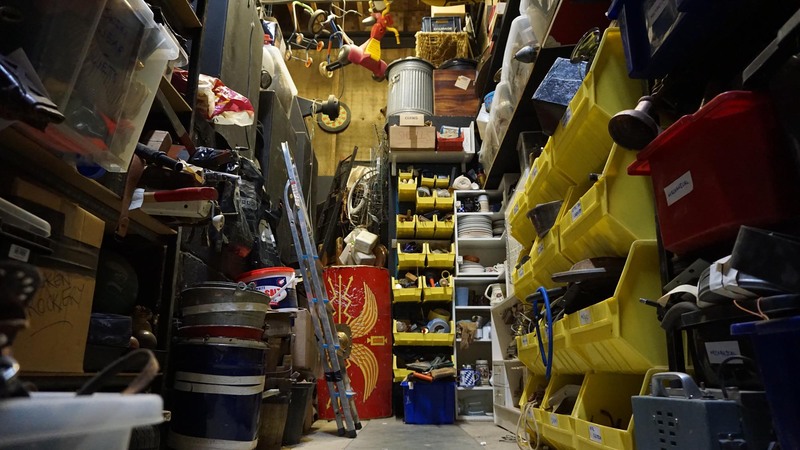 Prop cupboard, the physical equivalent of a sound design library, ready to be performed into life and layered up by the foley artist. 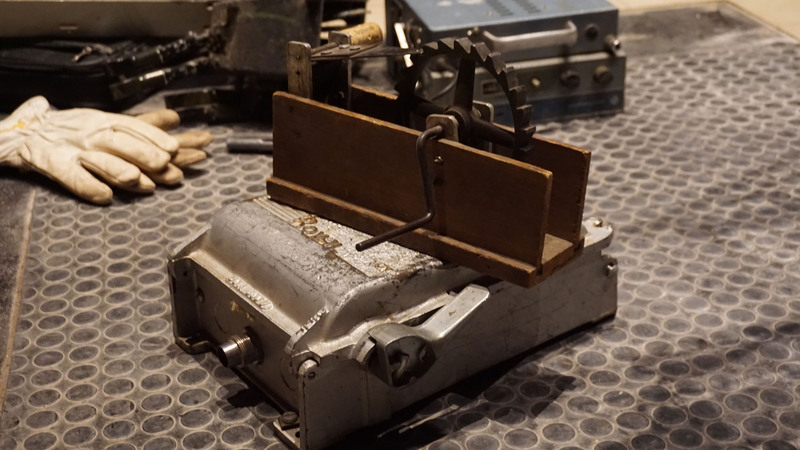 Special props were created for creature footsteps. 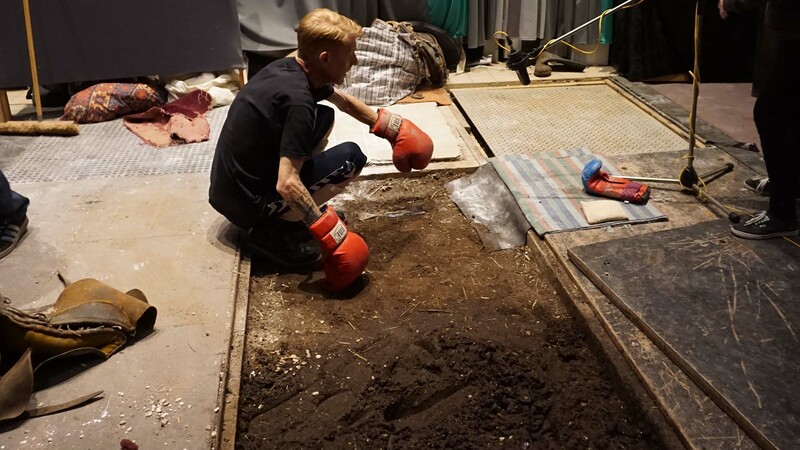 Some creatures like the Brumak needed footsteps bigger than you can create with boots, so Peter Burgis literally pummelled the ground with boxing gloves. 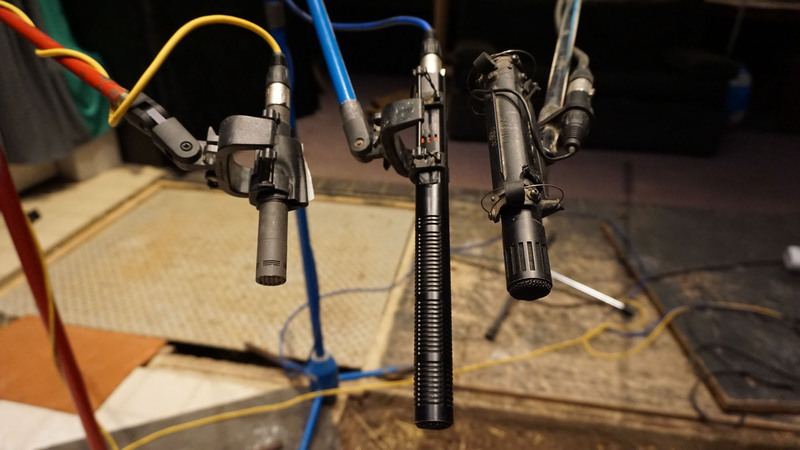 One of the gun foley setups. 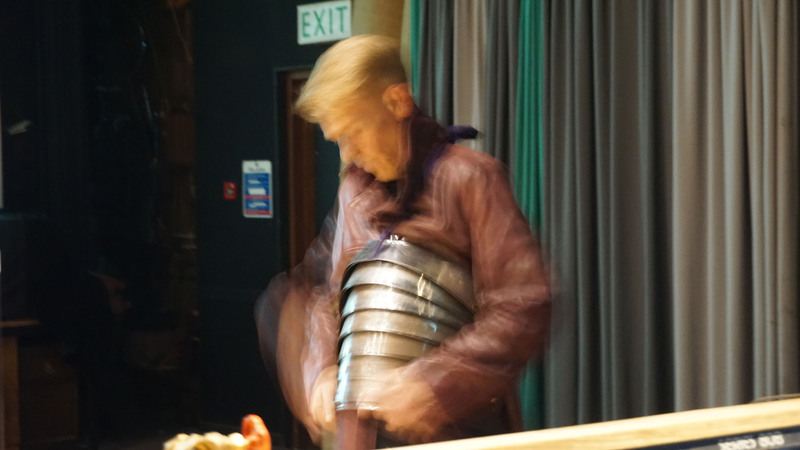 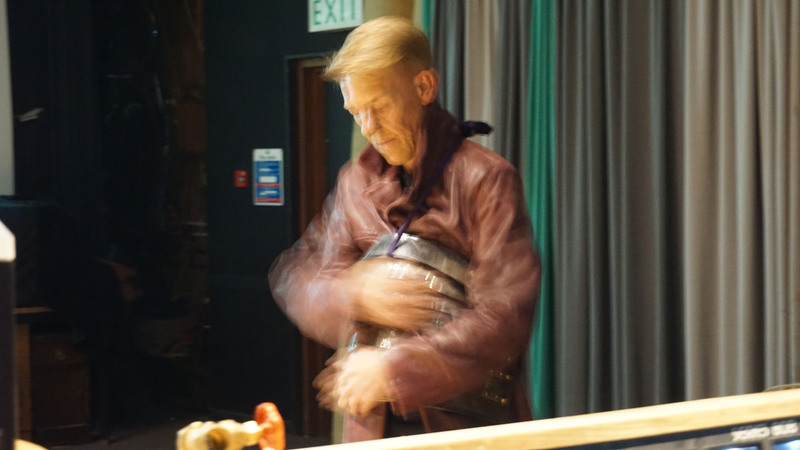 Gearing up for Locust body movements, layers of leather and armour were worn for the performance. 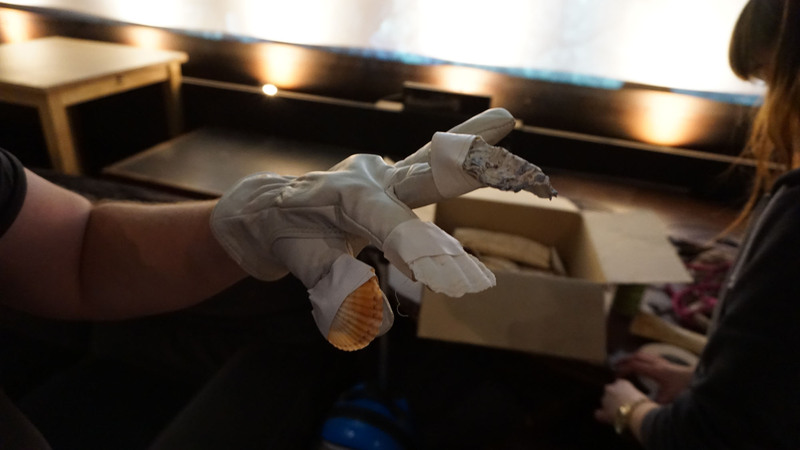 Raam needed body movements bigger than usually possible when wearing the gear, so the leather and metal props were smashed against each other into the ground to get the amount of weight needed.